Securely transport and store walls between jobs. 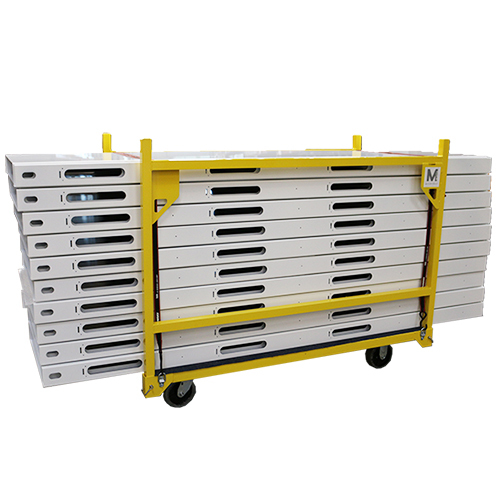 McCain Walls® Transport Carts securely transports wall panels to the job site and can be used for storage in between jobs. The carts transport up to twenty 10' panels at one time, and the rugged 8" casters effortlessly support and move over tile, carpet, asphalt, concrete, or packed dirt. The durable, powder-coated finish provides added protection against scratches. A carpet overlay minimizes potential damage during transport.